A supermoon occurs when the moon’s elliptical orbit brings it closest to the Earth, making it appear larger than usual. The next supermoon will rise Sept. 28, 2015. On Sunday, Durango and the rest of the U.S. experienced a supermoon, a time when the moon’s elliptical orbit is closest to the Earth, making the moon appear larger than usual. For those of you who went on Durango Nature Studies’ monthly full-moon hike, you learned a lot about the moon during this special night. I happen to be in upstate New York on a trip to the Hudson River with my mother as I write this column. As the bus drove back to the hotel after a long day of touring, everyone looked at the moon, and I thought about everyone in Durango experiencing this same phenomenon. The downside of going on a tour with a group of people is the rigidity in which it’s conducted, keeping you from exploring on your own. The upside is the amount of information you learn. The tour company we were with employed a local historian to accompany our group on the bus, allowing us to learn about local history. The more I listened, the more I realized that everything is so connected, whether it be history or the natural world. We learned about a man named Andrew Jackson Downing who started a movement in New York in the 1800s to change from buildings reflecting Greek architectural style saying “notice me” to buildings and gardens that blended into the natural landscape. His books went through more than 60 printings, and he was the most widely read author of his time. He started the idea of the front porch as a way to create outdoor living space, and he promoted homes that were pleasing to live in because of the landscaping around them. He also worked to promote the removal of graveyards from town centers, where they caused disease and took up too much room, to rural, hilly areas that could be visited and enjoyed. The rural graveyard movement joined with the public parks movement to create Central Park and some of the first city public parks. This led to an open space movement that connected to our first national parks and public lands. The work of Andrew Jackson Downing in New York led to one of the greatest ideas in the U.S., our public lands system, which makes us truly unique as a country. The connection between past and present is a crooked path. It would always be nice to envision the future and convince everyone of the correct steps to get there; but, alas, that is not always possible. Instead, we look at how things are today and trace the steps that got us here, wishing we could have the foresight to know how things will turn out in the future. As I looked at the supermoon over New York, knowing our full-moon hike was taking place in Durango, I continue to be amazed at how connected all of us really are. Ideas in one part of the country affect outcomes for everyone over time. The older people are, the easier it is to see these connections from a historical perspective. 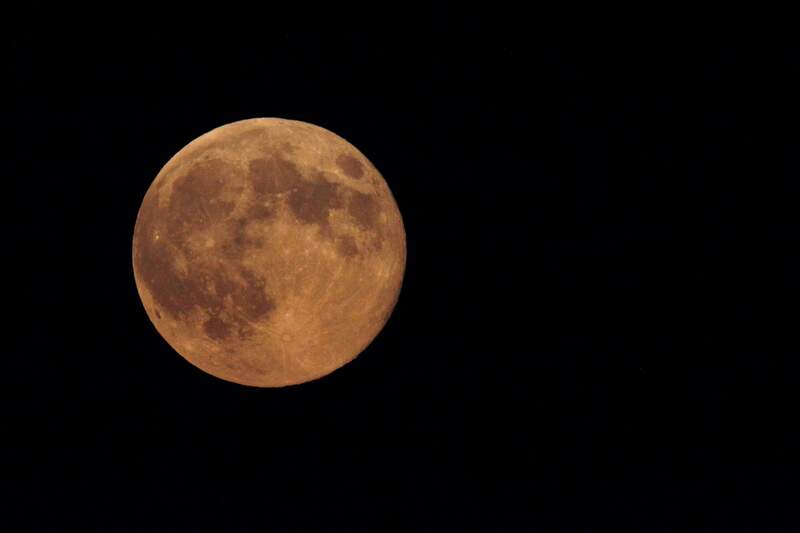 The next supermoon will rise Sept. 28, 2015. This gives us a little more than a year to notice how our actions today create the future as all of us collectively look up in awe at next year’s supermoon.